Children of Mildred Estelle Sybella Master and Sir Ralph Cockayne Assheton, 1st Bt. Sir Juckes Granville Juckes Clifton, 8th Bt. is the son of Sir Gervase Clifton, 6th Bt. He succeeded as the 8th Baronet Clifton, of Clifton, co. Nottingham in 1837. Children of Sir Juckes Granville Juckes Clifton, 8th Bt. Sir Robert Juckes Clifton, 9th Bt. 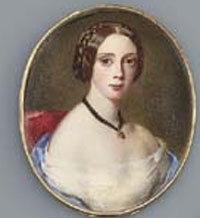 From 12 July 1842, her married name became Bruce. Children of Marianne Margaret Clifton and Rt. Hon. Sir Henry Hervey Bruce, 3rd Bt.